The number of real estate transactions in Eagle County is creeping back toward 2008 levels, and the number of foreclosure filings has slowed significantly, but local experts say the market still has a long way to go to return to the boom days of 2007. An analysis by Land Title Guarantee showed 190 sales for nearly $123 million in the month of July in Eagle County – a number that compares favorably with July of 2008 and way outstrips the post-crash July of 2009 numbers (75 sales for nearly $60 million). The vast majority of July’s improved sales (84 percent) were for homes priced at $1 million or less. The number of foreclosure filings have dipped significantly in 2013 in Eagle County. Longtime Vail Valley Realtor Craig Denton says the local primary housing market is still sorting itself out, while the upper end continues to lag. What’s really heating up, Denton adds, is the primary home market for units priced under $500,000. “The lower end, some of those things really spiked [in price] and have come back down into an affordable range, whether it be local or second home or even just recreational users,” Denton said. “Your primary market is your first market that has to come back. Part of that equation is tied to foreclosures, which tend to drag on prices. There are strong signs that Eagle County – second worst in the state for foreclosure sales as recently as the first quarter of last year – has seen the last of record foreclosure filings and auctions. According to the Eagle County Public Trustee’s Office, there have been 171 foreclosure filings as of Oct. 7 of this year compared to 385 for the same time period in 2012. Far fewer home are actually being sold at a foreclosure auction as 2013 winds down. Bagley says that in 2012 and early 2013 there were an average of 75 foreclosure sales each week. Of those, an average of 6 to 10 homes were actually being auctioned. Now Bagley says there are an average of 25 auctions scheduled each week, and only 1 to 3homes are being sold at auction, with the remainder being postponed, withdrawn or stopped by bankruptcy. 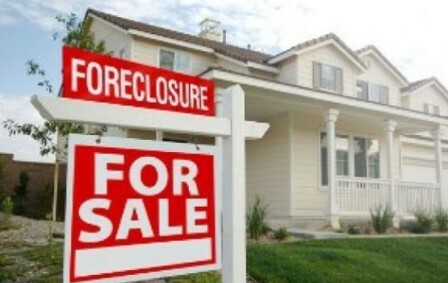 The record year for foreclosures – both filings (618) and actual auctions (338) – was in 2010, followed by 309 foreclosure auctions in 2012 and 270 in 2011. Once all the foreclosures work through the system, local brokers say the bottom of the market will be established. Denton says sellers still need to be more realistic in terms of pricing, because buyers are smarter and far more value-conscious than they were during the height of the housing bubble. That’s particularly true in a resort market like Eagle County, he adds. And that’s led to much more rental activity or even to multiple families investing in a property for purely recreational reasons.